Description: How do lawyers, judges and jurors read novels? And what is at stake when literature and law confront each other in the courtroom? Nineteenth-century England and France are remembered for their active legal prosecution of literature, and this book examines the ways in which five novels were interpreted in the courtroom: Gustave Flaubert’s Madame Bovary, Paul Bonnetain’s Charlot s’amuse, Henry Vizetelly’s English translations of Émile Zola’s La Terre, Oscar Wilde’s The Picture of Dorian Gray, and Radclyffe Hall’s The Well of Loneliness. It argues that each of these novels attracted legal censure because they presented figures of sexual dissidence – the androgyne, the onanist or masturbator, the patricide, the homosexual, and the lesbian – that called into question an increasingly fragile normative, middle-class masculinity. Offering close readings of the novels themselves, and of legal material from the proceedings, such as the trial transcripts and judicial opinions, the book addresses both the doctrinal dimensions of Victorian obscenity and censorship, as well as the reading practices at work in the courtroom. 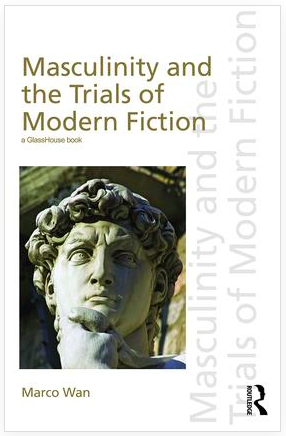 It situates the cases in their historical context, and highlights how each trial constitutes a scene of reading – an encounter between literature and the law – through which different forms of masculinity were shaped, bolstered, or challenged. "Masculinity and the Trials of Modern Fiction offers a new and striking contribution to the subject of censorship and the trials of literary texts. The subject has often been treated without Marco Wan's great subtlety as a reader. He has a remarkable capacity to read the language deployed by the law with the keen critical attention of the literary critic, and then to see how legal issues inflect the modalities of literature. His attention to the discourses of gender implicated in these famous trials gives his study a striking originality. This is one of the best studies of law and literature in intertextual relation that I have ever seen." "It is the task of literature to call people back to the radical diversity of forms of life, and modes of desire. Ranging over narratives of the sodomitical, patricidal, onanistic, androgyne, gay and lesbian, Marco Wan's incisive study brilliantly evidences the capacity of the literary to challenge, unsettle and rewrite the strictures of the juridical." "Neither before nor since have I written to congratulate an author unknown to me. But I did so in response to an article by Marco Wan on the Oscar Wilde trial, now addressed more fully in Chapter Four of this book. 'Fascinating' was what I said. Indeed there is no better word to describe Marco's analysis here of five famous examples of where the establishment desperately resorts to law in order to confront home truths about human sexuality which it regards as socially subversive."